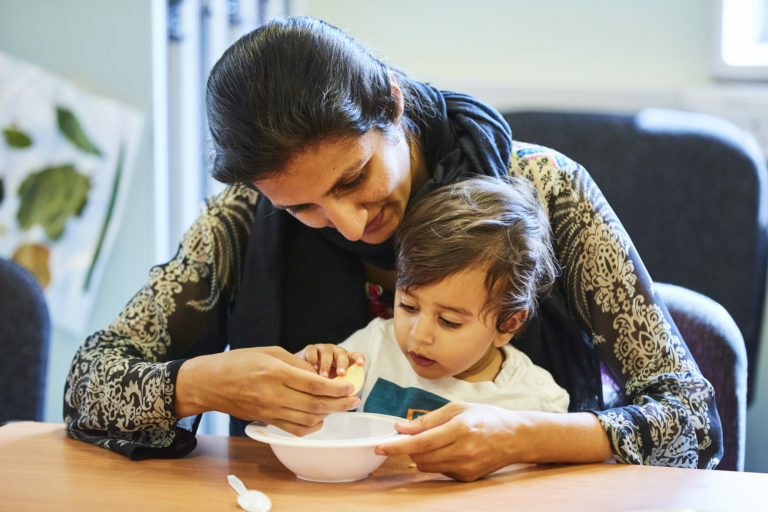 Meals provided by Brushstrokes Community Project are a lifeline to people fleeing war, persecution or domestic violence. 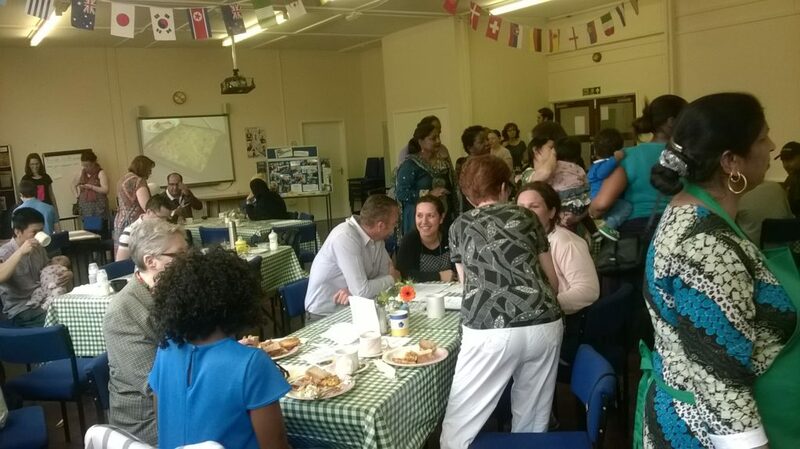 A good meal and a warm welcome meets everyone who arrives at Brushstrokes Community Project, a charity supporting asylum seekers, refugees and the most vulnerable people in the Sandwell area of Birmingham. It is a first glimmer of hope for many of the 1,000 people who arrive at the service every year after fleeing war, persecution or domestic violence. A regular food delivery from FareShare is a lifeline to the charity and the people they support. Brushstrokes Community Project wouldn’t be able to provide their much-needed meals without it. Many people arrive at Brushstrokes with very little, so the meals made with surplus food can be the boost they need to start rebuilding their life. Teresa and her team support people to feel settled and safe. They help people to overcome isolation and settle into the local community, starting with help with food and clothes through to taking English exams and finding a home and a job. 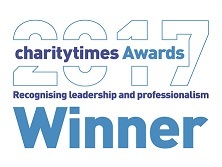 Their befriending and outreach service visits people who might be lonely, giving them an opportunity to talk about the things that have troubled them. They also work with mothers to be to provide them with the basics for their new born babies such as clothes and toys. Firstly they provide emergency food to people when they are most in need. This could be because someone’s application for refugee status is successful but they then have up to six weeks without food while they await their first benefit payment or look for work. It’s often a difficult period when people are left without any kind of money or support. The emergency food that Brushstrokes Community Project gives is a lifeline. Before using FareShare the charity “only had a small cupboard with tins and packets in it. We were just able to give out longlife food, now we can help people make a proper meal,” Teresa says. 1 in 8 people across the UK are struggling to put food on the table. We think that is unacceptable, especially when so much good food is going to waste. We need your help to fight hunger and food waste today. £1 is enough to help deliver food for 4 meals. It’s the generosity and commitment of supporters like you that helps bring FareShare’s mission to life. Set up a regular or one-off donation, or send a text message to make a gift to make a difference to people’s lives today: text FARE18 and the amount you would like to donate to 70070 (e.g. FARE18 £10). It will help us deliver more food to frontline charities and community groups like Brushstrokes Community Project who provide food and support to people like Amena. 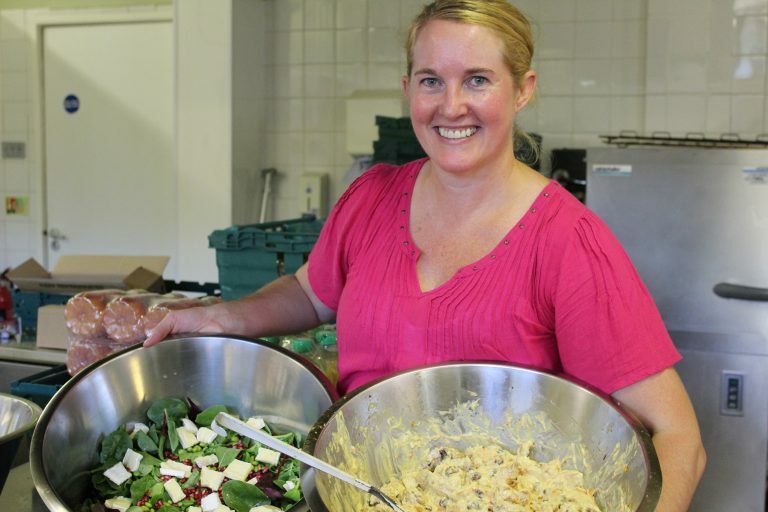 We caught up with volunteer Chef Claire from Greenwich Migrant Hub to find out how she transforms surplus food from FareShare into magnificent meals. 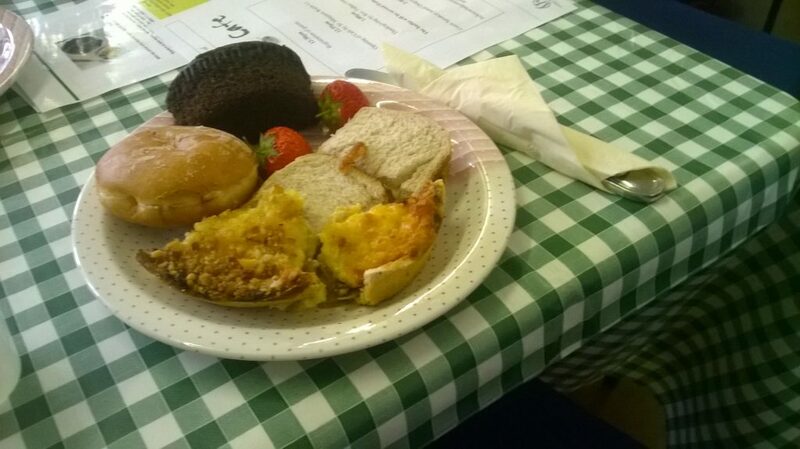 Using food from FareShare, Golden Hillock Holiday Kitchen is taking some of the stress out of the holidays by providing meals and activities for free. 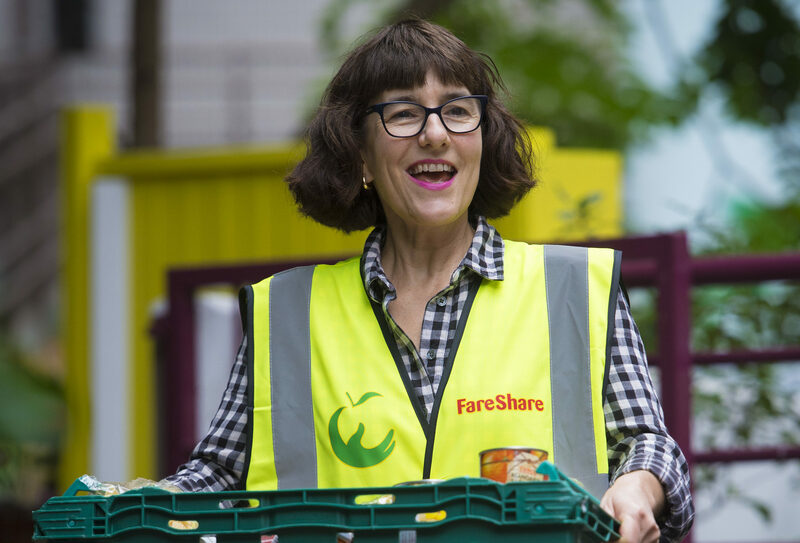 Veronica has been volunteering at the FareShare warehouse in Deptford for a year, sorting and delivering surplus food to charities and community groups in London.